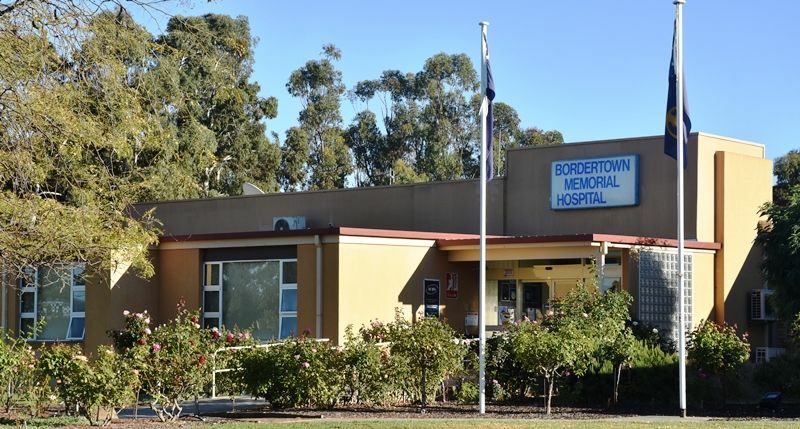 The Bordertown Memorial Hospital was erected to commemorate those who served in World War One. The foundation stone was laid by Mrs. William McGrice on Wednesday 27th June 1923. The foundation stone of the Tatatiara Soldiers' Memorial Hospital was laid by Mrs William McGrice on Wednesday, June 27. The weather was ideal, and the ceremony was attended by a large representative gathering from the four towns of the district. The building is very near completion, and the people could see the provision made for accommodation of patients and express their enthusiasm that the district could finance and carry out such a complete equipment for the relief sickness and injury. The stone is a marble block, into which is chiselled in gilt lettering the transcription " Tatiara Soldiers Memorial Hospital. This stone was laid by Mrs William McGrice on 27th June, 1923." Chronicle (Adelaide, SA), 7 July 1923.